The Featherstone Estate Winery is family owned and operated winery in the heart of the Wine Country of the Niagara Peninsula. The vineyard stretches over 23 acres and includes Riesling Cabernet Franc, Chardonnay, Gamay Noir, Sauvignon Blanc, Pinot Noir, Merlot and Gewurztraminer, with some of the oldest vines dating back to 1986. Located along the picturesque grape growing region of the Twenty Mile Bench, this Niagara Peninsula Winery produced its first vintage wine in 1999. In that same year Feathrestone Winery became insecticide-free, using ladybugs and lacewings to control the aphids and using pheromone traps for grape berry moths. 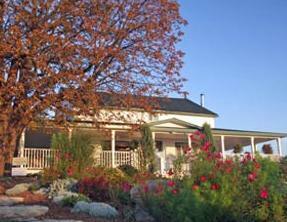 The winery was named the best vineyard in Ontario in 2003 and David Johnson, owner and winemaker, was named Grape King. This spectacular tour takes guests on a comprehensive tour of the winery, including the vineyard and a tasting of three wines afterward. This 45 minute tour is $5.00/person. This is an interactive way to learn about the wines. Three wines are selected and groups have to see if they can answer the questions correctly. The 1 hour challenge is best for groups of 12-30 and costs $8.00/person. A mix of wines and foods, with a Riesling and a lemon, a red wine and a walnut and a select harvest with a bit of sugar on the tongue. This 45 minute tasting costs $10.00/person. This is a private tour of the winery and the surrounding vineyard by winemaker and owner David Johnson. You can sample the wines straight from the barrels. The entire experience lasts 1 hour and costs $20/person for groups of 4-15.